What is dog car sickness and what causes it? There are very few things in life less pleasant than riding with a car-sick dog. If you thought the worst thing your dog could leave in your car was a furious hair tornado that coats every surface, think again (and no, don't think about that stuff you have to stick your hand into a plastic bag to clean up off footpaths). We're talking about dog car sickness. Yes, that's a thing. And it is every bit as unpleasant as it sounds (and, in its worst cases, will have you wishing you'd sprung for those leather seats... Or had children instead). Yep, your pooch can get car sick, transforming them from man's best friend into a furry version of Linda Blair from The Exorcist in seconds. And there are very few things in life less pleasant than riding with a car-sick dog. Worse still, dogs are unlikely to ask you to pull over first. They're very inconsiderate like that. 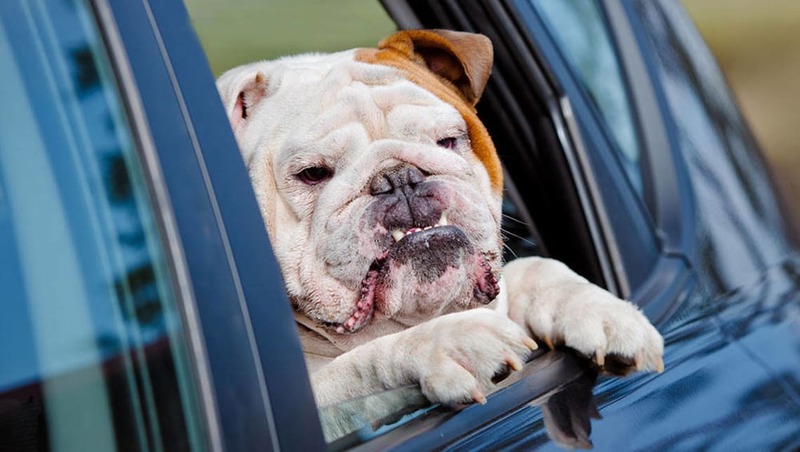 What causes dog car sickness? Motion sickness in pets is believed to occur for the same reasons it does in humans. Which is to say, while nobody is entirely sure why some dogs get sick and others don't, the cause is linked to inner-ear confusion, or what the experts call "unintentional movement". If your pooch is chasing a stick, for example (or their own tail), the eyes, brain and ears are working together, and so your dog's body expects the movement, and prepares accordingly. But when strapped into a car, your dog's brain thinks that Fido is simply sitting down, so when the fluid in your dog's inner ear starts sloshing about it sends messages to the brain screaming that something is wrong. Just like humans, sadly, dogs were never meant to move faster than about 30km/h, but human brains can at least rationalise the concept. And just as in humans, where motion sickness is more common in children than in adults, car sickness is more likely to affect puppies and other younger animals (including cats, sadly, if you're crazy enough to take one in your car) than it is older animals. A dog's stress and anxiety in the car can trigger motion-sickness-like symptoms. 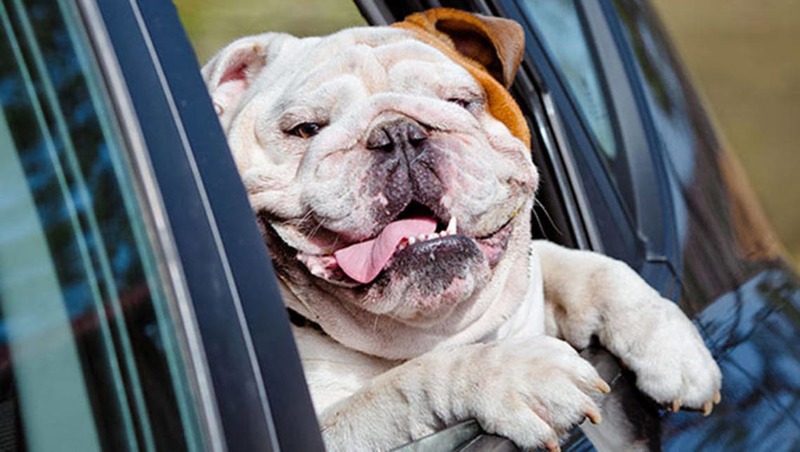 According to the experts, car sickness in dogs presents itself in either minor or severe symptoms, which range from listlessness, inactivity or general uneasiness, to yawning, whining, excessive drooling or lots of licking of the lips. And the more severe symptoms? That would be vomiting. Excessively. And even on an empty stomach. But if you're wondering "why does my dog get car sick when he never has before? ", there could be other problems at play. A dog's stress and anxiety in the car can trigger motion-sickness-like symptoms. Imagine if every time you got into a lift, the doors opened to a dentist ready to perform a root canal. Pretty soon you'd learn to be wary of lifts, right? So if your dog associates your car with a visit to the vet, or to a boarding kennel, then they'll be anxious every time you strap them in, and that worry can manifest itself with signs of motion sickness. They really are a lot like humans sometimes. Or at least like children. In a human, the best and easiest way to tackle car sickness is to insist upon driving, but this is a strategy we don't recommend you try with your pet, no matter how well trained it is. But the reasoning behind that method can still be put into effect. Experts agree that the reason a driver rarely gets sick, even if that same person suffers from car sickness as a passenger, is a combination of vision and distraction. When you're in the driver's seat, you have the clearest possible vision, so your eyes tell your brain to expect movement, and plenty of it. And the act of driving in itself acts as a distraction, giving you plenty of other things to think about rather than which shoe to throw up into. Vets also recommend trying to make the car your dog's happy place, so take plenty of short hops to fun places. You can recreate those sensations (only without the driving bit) with your pooch. Whatever restraint you use to secure your dog in the car, remember to keep them facing forward, not to the side or backwards, and pack toys to keep them distracted on your trip. Vets also recommend trying to make the car your dog's happy place, so take plenty of short hops to fun places, like the park or the beach, or a rabbit farm, so your pet learns to associate the car with good thoughts, rather than a trip to the vet. Doing that will help keep your furry friend calm and happy in the car, rather than anxious and nauseous. For obvious, unpleasant reasons, try to avoid feeding your dog in the hours leading up to a long trip. Dogs are less likely to throw up on an empty stomach (although it's not impossible). And you're less likely to join them in throwing up if your dog's vomit doesn't contain a half-digested can of Pal. What can I give my dog for car sickness? Remember, if your puppy gets car sick, there's every chance it's just a passing phase they will either grow out of, or simply stop suffering from as they get more used to riding in a car. But if you've already abandoned all hope, then consult your vet, as there are plenty of effective car sickness medications that will control motion sickness in pets. The most common of these contain the same active ingredient that is prescribed to humans. In both humans and dogs, motion-sickness tablets block the messages from the inner ear to the brain, tricking the mind into thinking you are stationary, even if you're not. And they are effective. Interestingly, if they do work in pets we can pretty much count out the placebo effect, because dogs' brains are not as easily fooled as ours. If you'd prefer a natural remedy for dog car sickness, some owners spray lavender or chamomile scents in the car in an effort to calm their pets. Let's face it, that probably won't work, but at least it will mask the smell of dog vomit. Slightly. Remember, if your puppy gets car sick, there's every chance it's just a passing phase they will either grow out of, or simply stop suffering from as they get more used to riding in a car. There are very few things in life less pleasant than riding with a car-sick dog. Worse still, dogs are unlikely to ask you to pull over first. They're very inconsiderate like that. Has your dog ever been car sick? Tell us about your experiences in the comments below.